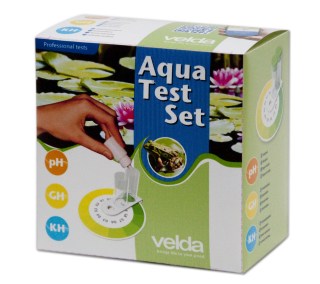 pH Test measures the degree of acidity of fresh and salt water using a colour chart and comparator. A value above pH 8,5 will stagnate plant growth and a value less than pH 7 is harmful for your fish. GH Test measures the general hardness of fresh and salt water with an accuracy of 1 °GH. Values less than 8 °GH will slow down the growth of pond plants and may cause acidification, especially in winter. 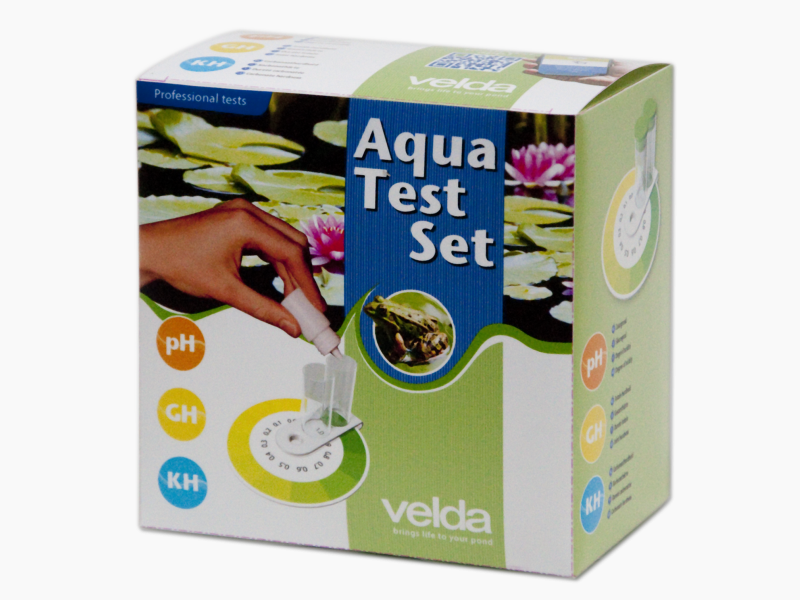 KH Test measures the carbonate hardness of fresh and salt water with an accuracy of 1 °GH. Values less than 6 °GH indicate acidification of the pond and stagnation of oxygen producing plants.